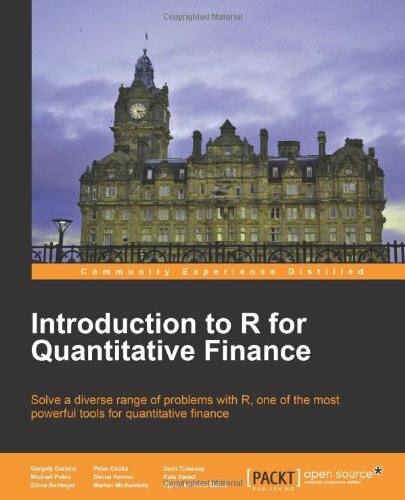 I used some spare time I had over the christmas break to review a book I came across: Introduction to R for Quantitative Finance. An introduction to the book by the authors can be found here. As an experimented R user, I didn’t expect to learn much but I was wrong. I didn’t know about the GUIDE package: a GUI for derivatives pricing, the evir package which gathers functions for extreme value theory and I also learned a few programming tricks. All in all, this is an excellent book for anyone keen on learning R in a quantitative finance framework. I think it would have benefited from a formal introduction to R and a data Export/Import capabilities review but both topics are extensively covered in many other R resources.